Energy organisations, energy businesses and information. The Otaki Energy Co-operative Ltd trading as Coastal Energy has been established in 2014 as a mechanism to achieve direct investment in renewable energy production projects in Otaki and its surrounds. 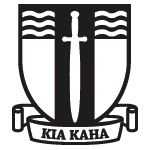 Several projects have been completed, among others an installation at Te Kura-ā-Iwi O Whakatupuranga Rua Mano in Tasman Road. 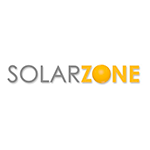 Energy Solutions Group is a company which is developing energy efficient, adaptable, modular housing designs with an additional focus on on-site clean energy generation, and water and wastewater systems. Entyre NZ Ltd is currently establishing a factory in Otaki to process used tyres via a devulcanisation process into new rubber products. The company has supported a number of clean technology and energy projects in the town. 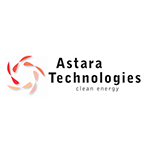 Astara Technologies provides bespoke design, build and consultancy services working with a wide range of Renewable Energy technologies including photovoltaic power generation, solar thermal, hot water heat pump, waste to energy technology, electric vehicle and electric propulsion systems. 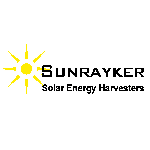 Sunrayker is a start-up company developing a concentrated photovoltaic and thermal (CVPT) solar energy system by integrating concentrated photovoltaic (CPV) and concentrated solar power (CSP) into one hybrid energy system to generate electricity and heat from sunlight. A number of cutting edge clean technology businesses are actively participating in the Energise Otaki project. Local Otaki businesses are also involved. Energise Ōtaki is collecting names of architects, draughtsmen, builders etc who will work in a sustainable way. Email us to put your name in the list. The Clean Tech Tower in the Clean Technology Park, completed in 2013 has the full range of environmentally sustainable technologies. Otaki is a proposed urban growth area. And yet it is the only town on the regional rail system without rail commuter services. This must change. This project is concerned with what the local electricity network might look like in the long-term if there was significant on-site generation and export within the town.